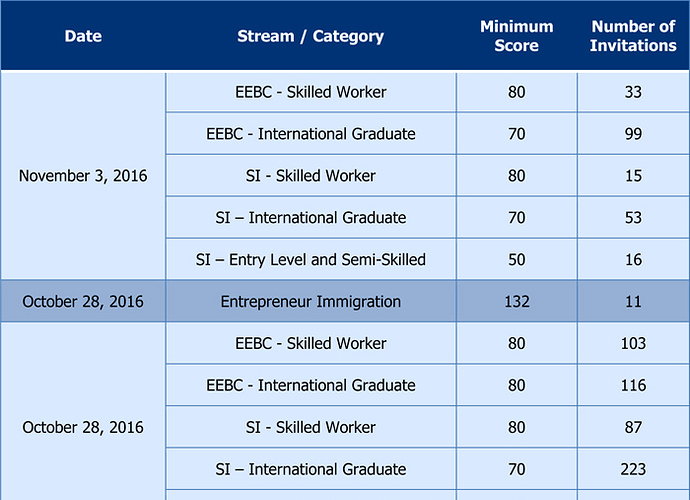 The BC PNP also issued 12 invitations to apply to registrants from the Entrepreneur Immigration stream selection pool. Please refer to the Invitations to Apply page for a full breakdown of invitation numbers and minimum scores. Periodically, the BC PNP will issue invitations to apply for the highest scoring registrants by category. The number and frequency of invitations to apply is based on annual nomination allocations and the BC PNP’s processing capacity to ensure timely processing. For more information on the invitation and application process, please refer to the Skills Immigration and Express Entry BC Program Guide or the BC PNP Entrepreneur Immigration Program Guide. The BC PNP also issued 10 invitations to apply to registrants from the Entrepreneur Immigration stream selection pool. The WelcomeBC website will not be available on Thursday, October 27th from 8:30am (PT) to12:00noon (PT) due to scheduled maintenance. Service will be restored by 12:00noon (PT) on October 27th. We apologize for any inconvenience and thank you for your patience. If you achieve or exceed the following registration scores, you will receive an invitation to apply in the next draw for your category. Invitations to apply may be issued for scores lower than these minimums. Guaranteed invitation scores are subject to change. The BC PNP will regularly conduct draws to invite candidates from the selection pool for each category to apply. The number and frequency of invitations to apply is based on annual nomination allocations and the BC PNP’s processing capacity to ensure timely processing of applications. 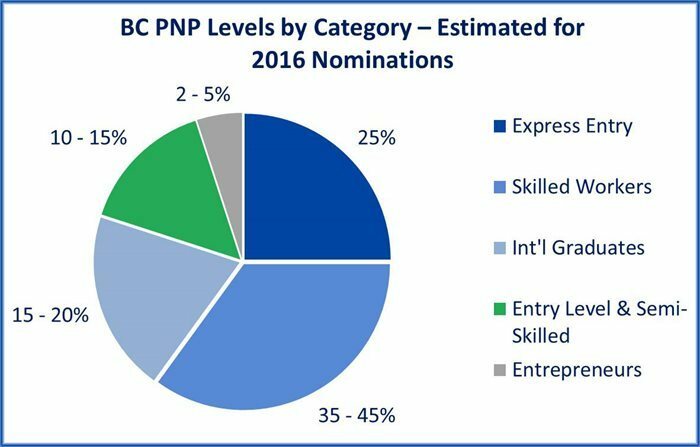 The federal government allocates the number of nominations (principal applicants, excluding dependent family) available to the BC PNP each year. For 2016, B.C.’s quota is 5,800 nominations. The BC PNP has always used the full nomination allocation and intends to maximize the quota again this year. Estimated processing times included below are based on 80% of cases and are subject to change based on program capacity. You will have up to 30 calendar days from the date of invitation to submit a complete application via BCPNP Online. Once you have submitted your complete application online and paid the $550 application fee, the BC PNP will assess your application according to program and category-specific criteria. If your application is approved, you will receive a nomination to apply to Immigration, Refugees and Citizenship Canada (IRCC) for permanent residence. Your registration is valid for twelve months from the date of submission. If you have not been invited to apply within 12 months of registration, your registration will be automatically removed from the selection pool. 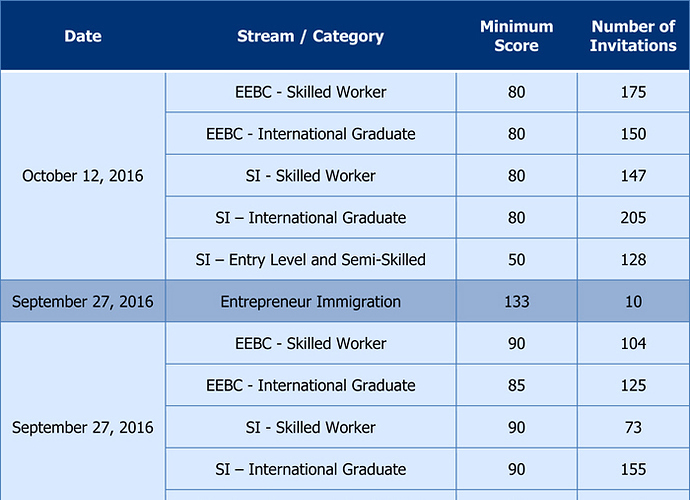 The BC PNP also issued 13 invitations to apply to registrants from the Entrepreneur Immigration stream selection pool.